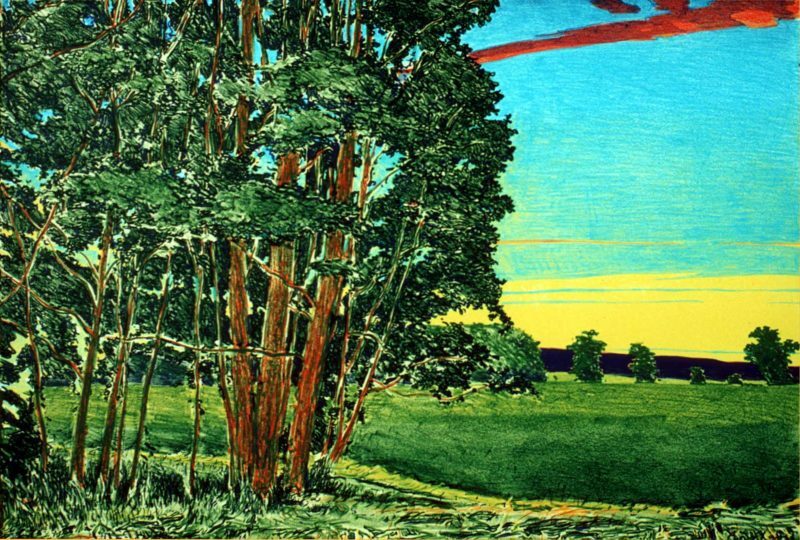 Charles Basham, Last Day of Summer, 1986, color lithograph on paper, 15.13 x 22.13 inches. Gift of Jerald L. Melberg Gallery, Inc., 1986.6.61. Students learn about the color wheel and the endless possibilities of color interactions. Students create one-of-a-kind artworks using paint as well as other media to mix, match, and create with color.